Sudanese parliament speaker says the death verdict for woman who converted to Christianity is in the hands of the judiciary. As outrage grows over a Sudanese woman who was sentenced to death for refusing to renounce her Christianity, the government defended the verdict, but said it's only preliminary, CNN reported on Sunday. A Khartoum court last week convicted Meriam Yehya Ibrahim, 27, of apostasy. Ibrahim, who is eight months pregnant, converted to Christianity and married a Christian man. Conversion by Muslims into other religions is criminal in Sudan's penal code and punishable by death. Ibrahim was given four days to repent and escape death, but was given the death sentence after that grace period expired. The court also convicted her of adultery and sentenced her to 100 lashes because her marriage to a Christian man is considered void under Sharia law, according to CNN. Sudanese parliament speaker Fatih Izz Al-Deen said, however, that the verdict is not final and is in the hands of the judiciary. The verdict will go through all the judicial stages to reach the constitutional court, the speaker told Um Derman radio station. Ibrahim says she was born to a Sudanese Muslim father and an Ethiopian Orthodox mother. Her father left when she was age 6, and she was raised by her mother as a Christian. The parliament speaker, however, said that claims she was raised as non-Muslim are untrue. She is a Muslim raised in an Islamic environment and her brother, a Muslim, filed the complaint against her, according to Izz Al-Deen. The complaint alleges she went missing for several years and her family was shocked to find out she married a Christian, according to her lawyer. However, because her father was Muslim, the courts considered her one too, which would mean her marriage to a non-Muslim man is void. Meanwhile, rights groups and foreign embassies worldwide continue to condemn the verdict, according to CNN. "The fact that a woman could be sentenced to death for her religious choice, and to flogging for being married to a man of an allegedly different religion, is abhorrent and should never be even considered," said Manar Idriss, Amnesty International's Sudan researcher. 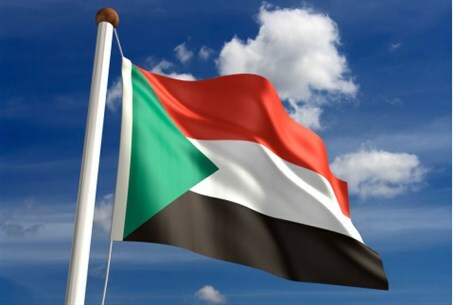 Katherine Perks with the African Centre for Justice and Peace Studies said the verdict goes against Sudan's "own constitution and commitments made under regional and international law." Foreign embassies in Khartoum, including those of the United States, United Kingdom and Canada, have urged the government to reverse course as well. Sudan is not the only Arab country where Christians are persecuted. Christians have been caught in the crossfire of Syria's war. Last December, Syrian rebels captured the historic Christian town of Maalula, kidnapping 12 nuns who were released just several weeks ago. Also in Syria, Islamist rebels publicly beheaded a Catholic priest in July, in the northern Syrian town Idlib. In some areas under their control, the Islamists have imposed a "protection tax" from the Christian population. In Egypt, Coptic Christians have been targeted, especially in recent years during the so-called “Arab Spring” protests. A number of Christians have been murdered, and scores of churches and Christian-owned houses and businesses have been torched, ransacked and vandalized in the weeks since former Islamist President Mohammed Morsi was ousted last July.